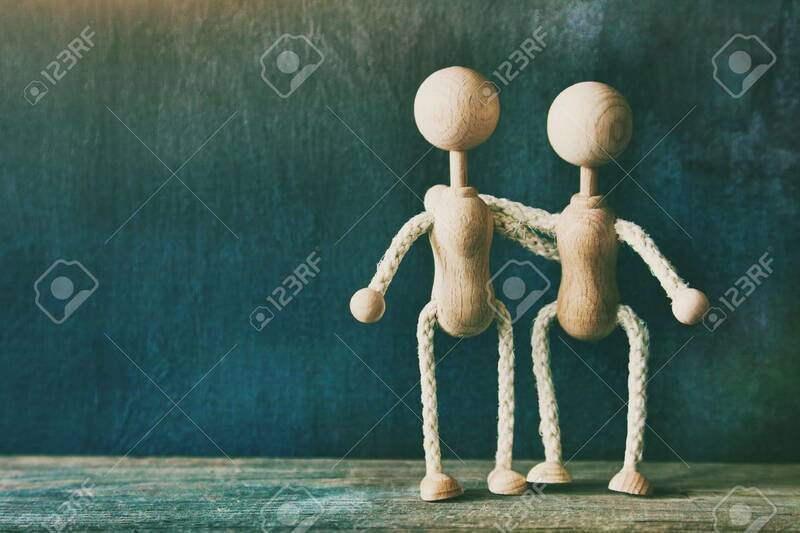 Two Wooden Little Men Hugging With Copyspace. Love, Friendship.. Stock Photo, Picture And Royalty Free Image. Image 61534184.